Improper headrest adjustments are one of many standard allegations ICBC makes against victims of negligent driving. It’s almost comical when our lawyers ask offending drivers about the allegation during an Examination for Discovery. How could they have noticed headrest positioning if their level of awareness was so poor they crashed into the back of the victim’s vehicle? ICBC lawyers usually try to prove the allegation through the injured victim. Unless it is your diligent practice to always adjust the headrest, how could you say for sure what your headrest positioning was two or more years after a crash? Why do headrest adjustments matter? The law places a legal duty on us to reasonably look out for our own safety. If we fail to, and our injuries would likely have been reduced had we done so, our entitlement to fair compensation for those injuries can be reduced. The same goes for failing to wear your seatbelt. But, you may ask, isn’t headrest adjustment different from wearing a seatbelt? There is no law requiring headrest adjustment! 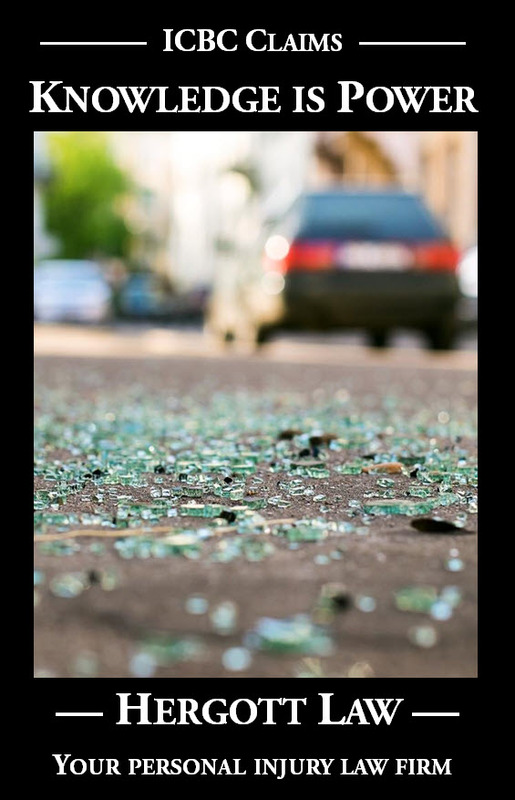 There is also no law prohibiting texting and walking, but if you trip over a sidewalk hazard an injury claim will be met with an allegation of contributory negligence. 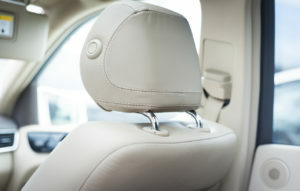 Do you diligently ensure that your headrest is properly adjusted? Do you even know what it means to properly adjust your headrest? I strongly suspect that you don’t. My suspicion comes from the fact that almost nobody I observe riding as a passenger in my vehicle pays any attention to headrest positioning. Children and adults alike. People don’t understand the importance of a headrest. They didn’t become mandatory safety mechanisms in vehicles sold in the United States in 1969 (later, I assume, in Canada) because we need a place to rest our heads. What a ridiculous name! They became mandatory because of what happens to the head and neck during a collision, particularly a rear-ender. Your stopped vehicle is abruptly propelled forward. Without a “whiplash protector,” your entire body except your head is pushed violently forward by the seat. Your rag-doll head stays put, but in effect flips back over the top of the seat, harmfully extending your neck. See for yourself. Here is a link to a YouTube video that shows in slow motion what happens in a rear-end collision. Consider what would happen if the “whiplash protector” was not in place by watching this video. So what does “properly adjusted” mean? 2. Position the head restraint so it’s as close to the back of your head as possible. You may need to adjust the back of the seat. I was prompted to write about this topic when going truck shopping this past weekend. I’m not a “truck guy,” whatever that might mean, but my wife has become a “travel trailer girl” so what choice did I have? I might be the only guy, ever, who has made a truck purchase decision based on headrests; not on brands that truck companies spend so much money advertising. All three back seats in the one I chose have headrests, which was more than could be said for at least one competing brand. I don’t move my vehicle until everyone has properly adjusted their “whiplash protectors.” Please do the same favour for your passengers. Remember to adjust yours when riding in or driving an unfamiliar vehicle.